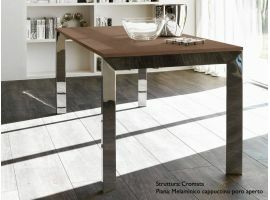 You can find the perfect metal table, the most suitable for your house by Infabbrica. Make your house the environment you have always desired, search among our products, you will find your ideal solution. Our metal tables are suitable for your house, sican be placed in every environment thanks also to its modern and refined design. 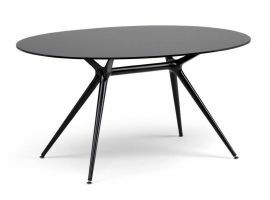 Do you want a metal table for your house? Your house, maybe your office also, or simpler your own room - the famous own room - show your hosts the table as it was the open window on the land of your dreams, being proud of your purchase. Any object of the house, everytime, has always to be linked to you. For the metal table, considered its tradition of functional item, does not exist, like can be thought, a standard style, but there is an endless catalog of variants. 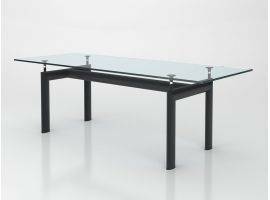 Then, it is impossible not to find a metal table suitable for your desired atmospherehe. Infabbrica offers you many metal tables. Among our best proposals, of course ypu will find your suitable one searching on oue catalog: from the more classics but not trivial for the office, to the more modern ones ideal for the living room; from the formal one to the minimal one. Also available for the children room, lighter and funny. Everyone realized paying attention in every single step while processing, in order to be suitable and comfortable for every environment of the house. Infabbrica guarantees technology, handicraft and items that follows the latest tendences. The endless research for new materials and the tradition which is always a guarantee for reliability and safety. Metal is a material rich of creativity, an ecologic material which has a great expressiveness itself and as already mentioned a concept of power and duration. 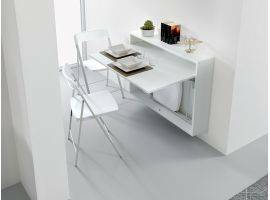 Can be placed in every environment , properly for its great expressiveness which is adaptable as at home as at office for example. 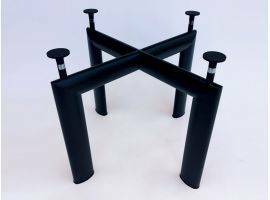 A metal table like this is able to become an indispensable item for your environment, item you could not do without anymore. Used as expressive and decorative item, based on classic colors or more unusual and different ones. Used also to let the environmet being more informal, with shapes and a soft design. Available with lines, surfaces, simple and smooth, the metal table is ideal both for a minimal chic environment, from almost a Japanese character and for a futuristic design. If you like soft and romantic atmosphere, linked to the warm house environment, a metal table is what you need. Painted metal, or steel, adding ideas with its shapes, different materials and its many possible colors. 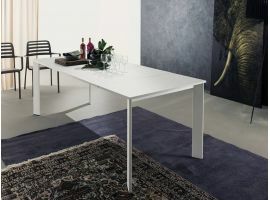 Often, metal tables is enriched with different materials, like as wood for example: adding value, then, making our metal tables expressive and discreet, that won't be intrusive,according to your needs, or will be the main item of the environment. 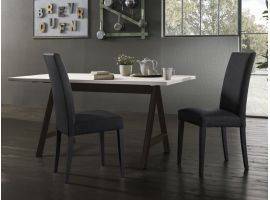 Chosing the different finishings, more or less refined, you will be able to place the table where you want. 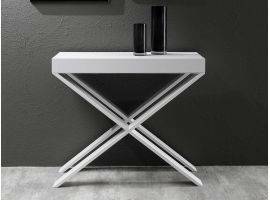 This because a metal table is not only a furnishing item. 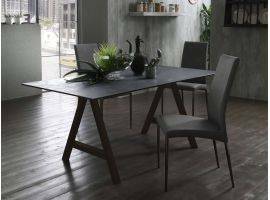 A metal table is more than an item, is able to create comfortable situations, furnish your spaces with armony, giving them emotions which will help you feeling home also while you are workig for example. We are here to help you choose the right item, the suitable product, in order to satisfy your needs. Do not hesitate to ask for any doubt, contact our services, calling us at our phone number or write us at our e-mail address, both available on our web site. Our experts operators will give you all the information needed, helping you during the purchase steps. On our web site you can also find the purchase methods. We are here to let you feel comfortable and to guide you during the purchase, let you chose the right item, in order to make your house a unique environment. Quality and professionalism, our main features that distinguish us for years. Your satisfaction is linked to our.